Google has never been known for morality. Their moto is “Don’t Be Evil” which seems good, but it struck me that just not being evil leaves a lot of room for immoral things which may not reach the level of “evil” in the eyes of Google. As a secular search engine, Google has always allowed for websites related to all kinds of behavior, but is Google now officially supporting homosexuality? 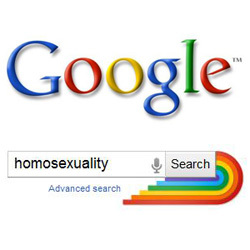 If you go to the Google homepage, you won’t see anything that screams homosexuality. It’s just the plain old Google logo. But not so fast. Try searching for “homosexuality“. When the results come up you’ll notice on the right of the search bar is a rainbow. The same rainbow is shown when you search for any gay-related keyword. That’s because all this month Google is celebrating gay pride. “During the month of June, Google is celebrating lesbian, gay, bisexual and transgender (LGBT) Pride,” the company said in an e-mail. “For some Pride-related search queries, we are showing a rainbow at the end of the search bar.” according to John D. Sutter at CNN. Ironically, in their attempt to join with the homosexual movement, they ended up irritating some people in the gay community. Google is known for their doodles. Those doodles, however, are usually on their homepage as part of their logo. This Doodle (if you can call it that) is hidden, only meant to be seen by people actively searching for gay-related keywords. The attempt to hide the rainbow has gotten some people in the gay community upset. “Instead of boldly declaring its support of Gay and Lesbian Pride Month, Google added a tiny rainbow to the end of its search bar,” writes Nicholas Jackson in the Atlantic. It seems to me Google is trying to ride the fence on this one by showing their support to the gay community, but trying to hide it from the rest of the searching world. Maybe they were afraid of a backlash is the fully came out…Then again, maybe they just didn’t want to have a gay-themed doodle on their site for an entire month. Either way, as often happens when you try to play both sides, it looks like Google may end up irritating everyone. 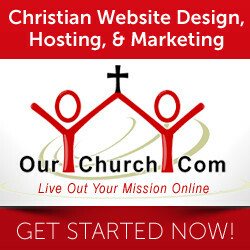 As a church, should you take a stand against Google or is this just how it is when you deal with a secular company? Does this effect your decision of which search engine to use? Does this effect your decision of whether you use Adwords or Adsense? It'd be hard for me to consider using a different search engine, since Google is above and beyond the best search engine out there. A computer is a marvelous thing – whenever it does the job. Then when you least hope it, any particular problem or error message msvcr100.dll takes place, and in most cases we are not aware of how you can fix it.